The house has held similar dedicated sales every April and October since, and prices have grown steadily, exceeding expectation. Other major auction houses followed with dedicated sales. This April, works by artists such as Frank Bowling ($161,000), David Hammons ($389,000) and Carrie Mae Weems ($68,750) went for up to twice their estimates. Butterfly, Feeling (1972) set a record at auction for Sam Gilliam in February 2013 when it sold at Swann for $72,000. Just a couple of years later, an untitled acrylic on canvas by Gilliam from 1969 brought in $197,000. African-American artists are today filling respected galleries from London to New York, Berlin to Los Angeles. These artists have seen a burst of interest from collectors, significant auction sales heading into seven figures and a serious presence in major international shows at Tate Modern, the Brooklyn Museum and the Museum of Modern Art in New York. What stands out is the calibre of the work both technically and conceptually. 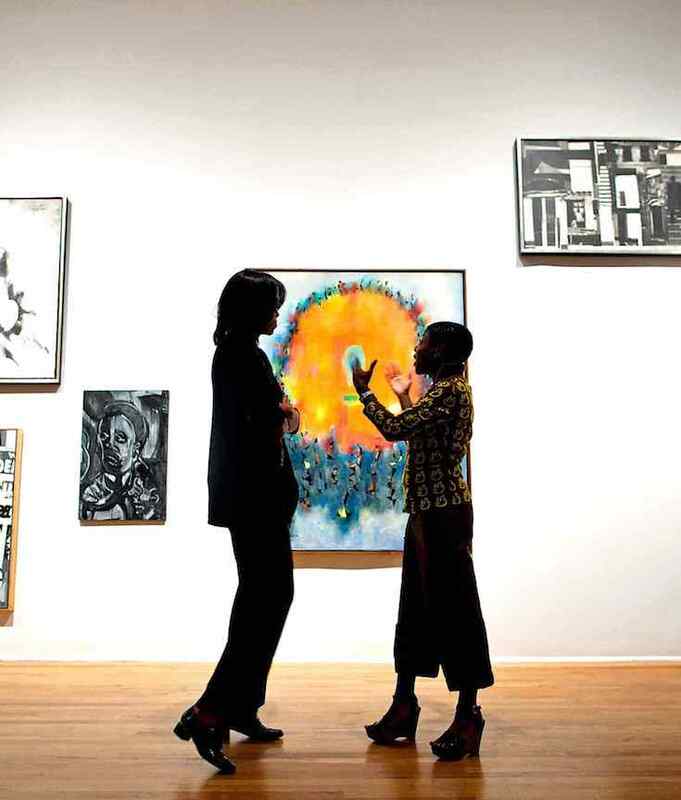 The Studio Museum in Harlem was founded in 1968 by a diverse group of artists, community activists and philanthropists who envisioned a new kind of museum that not only displays artwork but also supports artists and arts education. The Museum was originally located in a rented loft at 2033 Fifth Avenue, just north of 125th Street. In 1979, the New York Bank for Savings gave the Museum the building located at 144 West 125th Street. Renowned architect J. Max Bond Jr. led a renovation that adapted the building into a two-level exhibition space with offices and space for rental tenants. In 1985, the Museum began excavation of an adjacent vacant lot at 142 West 125th Street, leased from the City of New York. Over the following two decades, the Museum, in partnership with the City, completed additional renovations to the building and lot, and added additional gallery and lobby space, a theater and a flexible outdoor space. The Museum has been accredited by the American Alliance of Museums (AAM) since 1987, when it became the first black or Latino institution to gain this recognition. (Website).